What classes should you take? Which dining venue has the best sandwiches? How do you find a tutor? Where’s the place you can rent a bike again? 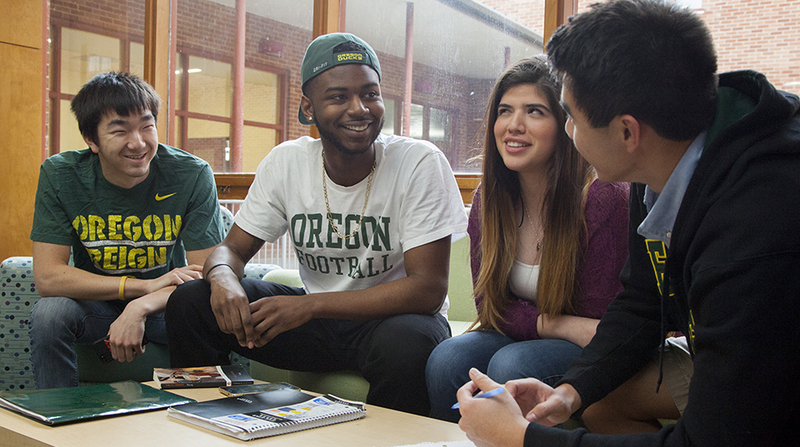 Whether you’re a first-year student or transferring from another school, we bet you’ve got a few questions. Luckily, we’ve got answers at IntroDUCKtion. Choose your session and register before your preferred date fills up. 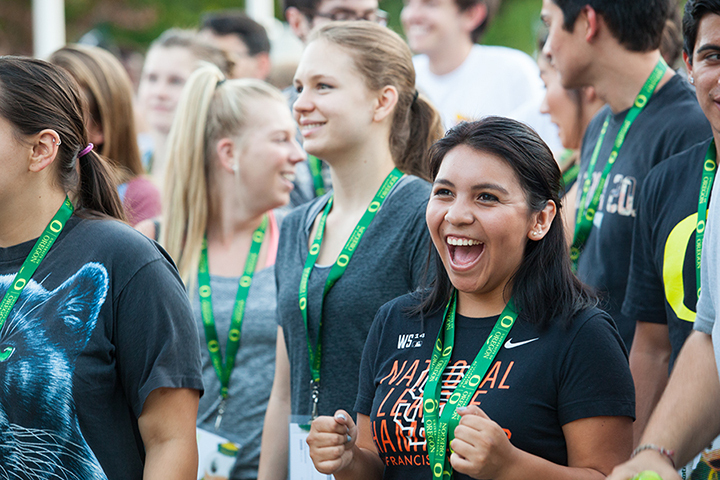 Get excited and get to know the campus with your Flock all at the same time! 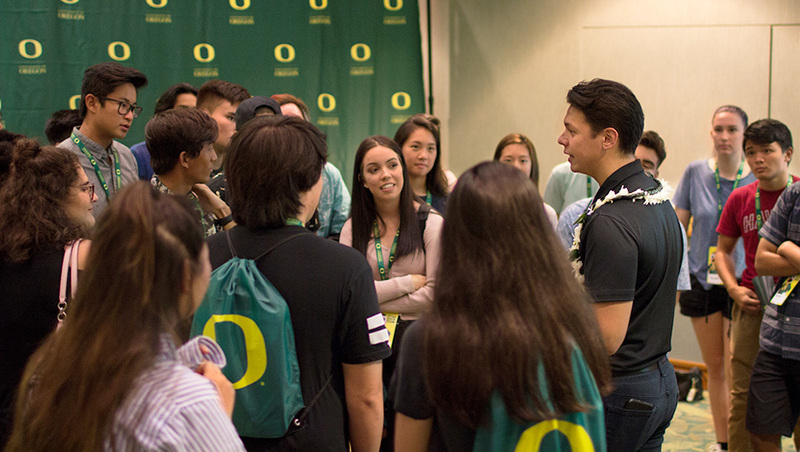 The UO Scavenger Hunt, or “The Hunt,” will show you how to navigate your new home through a fun-filled, team-bonding game. While this session is not offered during mid-year or one-day sessions, we promise you will have the opportunity to bond with your Flock! Get involved! 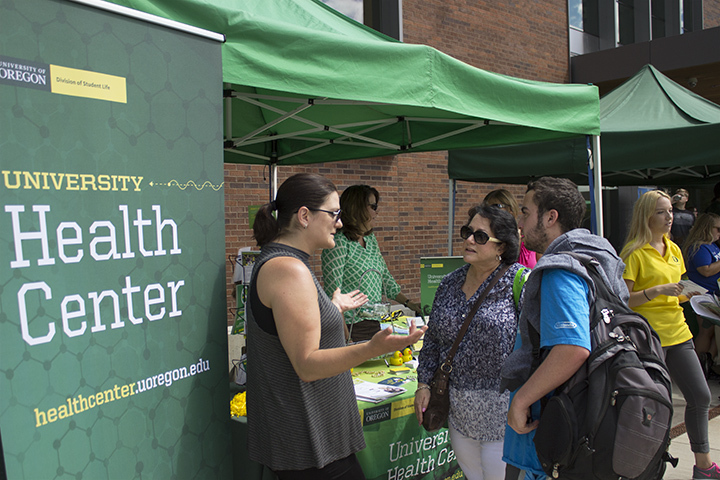 Use this opportunity to sign up for clubs and student organizations and learn from the various departments on campus about all the ways you can find your place within student life. 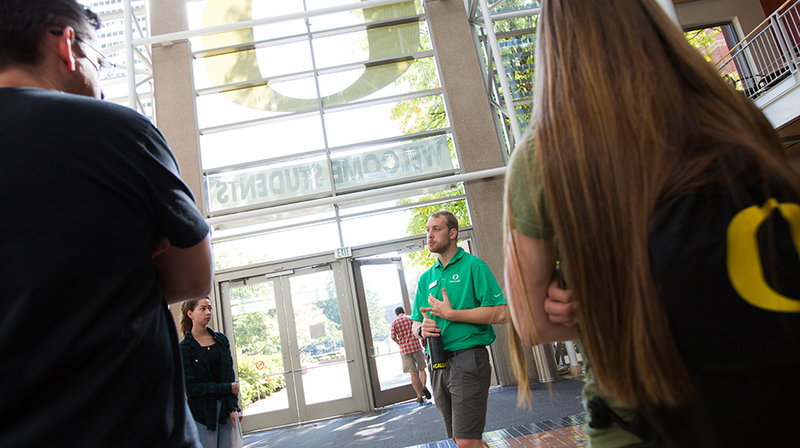 We’ll lead you from campus through the “Walk to Autzen,” which is the path students walk to the stadium prior to each football game. 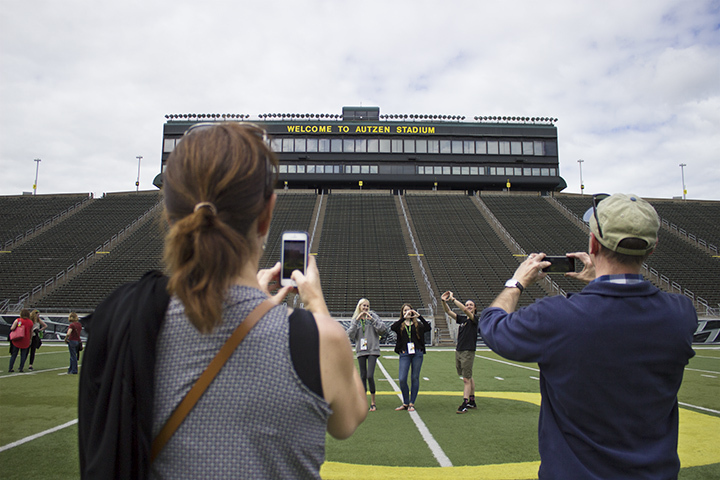 Once we arrive at Autzen, you’ll hear about getting tickets to athletics events and then be led through a tour of the football stadium. 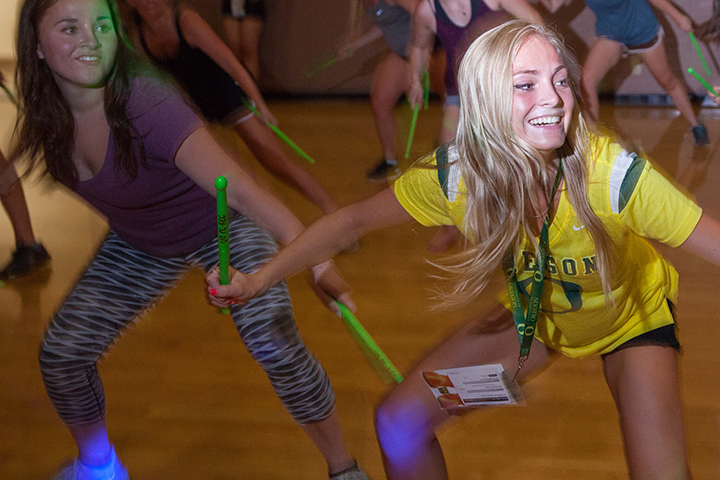 Get exclusive access to the UO's Rec Center for open rec activities and free food. You’ll even get to participate in an epic dodgeball tournament! 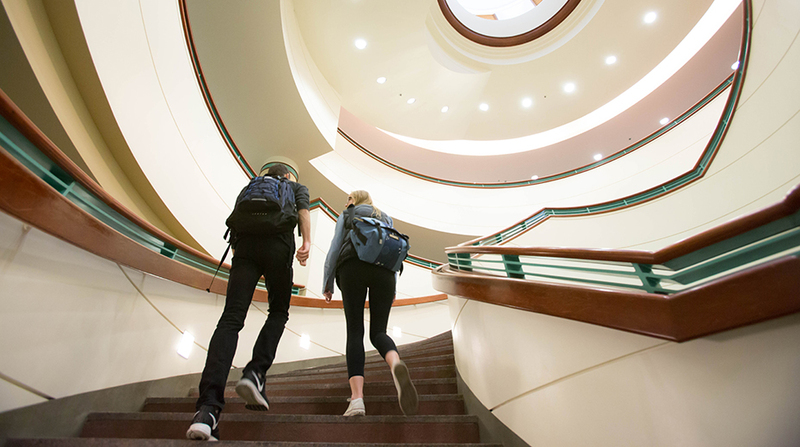 While this session is not offered during one-day sessions, you will still have access to view and tour the Rec Center. Searching and discovering is in your nature and it’s in ours too. Stay curious.